In the world of music, once every decade or so the past catches up to the present. That's why many of the best old songs are updated by contemporary artists about once every 10 years. Before our exciting career in software app development, we were responsible for programming, playing, and announcing music at a long list of very successful radio stations and broadcast networks. With our world of song knowledge along with shared stories in conversation with popular recording artists we created the mobile game trivia app R&B Music Quiz Soul for Android in November, 2015. 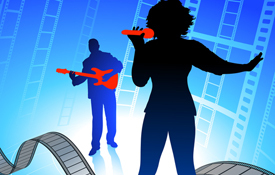 R&B Music Quiz Soul for iPhone has just been completed. Hundreds of tasty trivia teasers are included in this treasure trove of fun with the focus on Rhythm and Blues. Whereas the Android version of the app concentrates on hundreds of multiple choice questions, the iPhone version adds a picture quiz, right or wrong quiz (true or false), and also includes a collection of multiple choice trivia. The artists mentioned in the app span seven decades from the 1950's to the 2000's. Can you guess who had the most top 10 hits? How about who spent the most weeks at #1 on the music charts? R&B Music Quiz Soul was created for the casual music fan. You don't have to be an expert to enjoy the app. The hit quiz questions just keep on comin' bringing back magical memories. We are lucky to have a certified in-house music expert who can share this cultural appreciation with you. Under our umbrella we have a separate website devoted to the world of music. It's now offline and is being revised for a re-launch late in 2019. Stay tuned! For now, enjoy R&B Music Quiz Soul for Android. The iPhone version will be released within the next 14 days or sooner. Update (March 23, 2019): R&B Music Quiz Soul for iPhone is released on the App Store.